It usually clears up within a week or two but sometimes the symptoms can last three weeks. According to multiple studies, though, taking zinc acetate lozenges can shorten a cold from a week to just four days. The lozenges are available in health shops and local pharmacies and mostly effective when taken within 24 hours of the cold starting. Zinc acetate lozenges are more effective than swallowing pills since the lozenges dissolve in the mouth. The zinc ions are spread into saliva and then to the throat (pharyngeal region) and they also travel up into the nasal passages. Therefore, by attacking the virus in the throat and nasal passages they work better on sore throats and nasal symptoms. The recommended dosage is 80 mg per day and it shouldn’t exceed 100 mg per day. and muscle aches by 54%. Patients in this study took, on average, 1 lozenge containing 9 mg zinc every 2 hours while awake and the total dosage was between 80 and 92 mg per day. 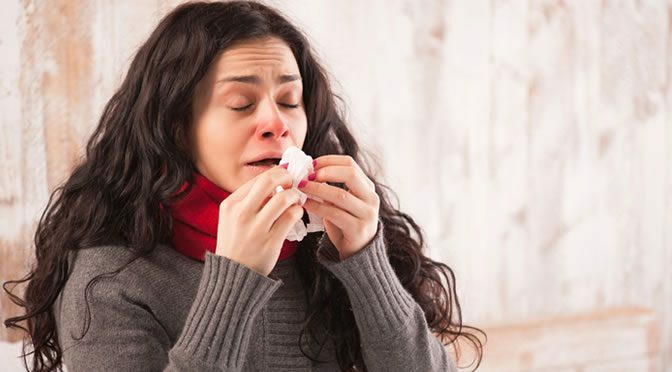 The researchers found that, compared to the placebo group, the colds of patients who took zinc lozenges were three days shorter than the full-length week-long cold. The study was published in the British Journal of Clinical Pharmacology (Hemilä et al., 2016).